If you own a motorcycle over 50 cc in Nevada, you must get motorcycle registration in order to operate it on roads. However, emission testing is not required for motorcycle owners. If you purchase a motorcycle that is less than 50 cc, registration is not required. You must pay registration fees which vary depending on your motorcycle registration. Also, your motorcycle registration will be assessed an additional extra $6 fee to help fund the safety programs in Nevada. 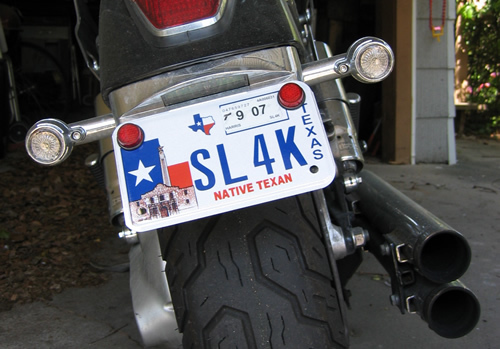 If you purchase a motorcycle from an in-state dealer, the dealer will issue a temporary placard. You must obtain your motorcycle registration before the expiration date of the temporary placard. All you need to do is to bring the Report of Sale to the full-service DMV office to register your motorcycle. Sales taxes are paid to the dealer at the time of sale, so it won’t be required during registration. You will need to take your motorcycle for a VIN inspection at the full-service DMV office or a local law enforcement office. The DMV officer will calculate the sales tax and inform you the amount you will need to pay for your motorcycle. If you purchase a motorcycle from a private party, you must register it within 30 days of purchase date. First, you will need to take your motorcycle for inspection. You will also need to show your motorcycle’s odometer reading. If you purchased a motorcycle from a private party in 2006 or later, you will not be required to pay sales tax. If you are a new resident in Nevada, you must apply for motorcycle registration and title it within 30 days of establishing establishment. You will need to present your current registration certificate and license plates. You will also need to conduct a VIN inspection. You must purchase a minimum liability insurance coverage from a Nevada insurance provider. The DMV will verify your insurance electronically. If you terminate your insurance at any given moment, your registration and license will be suspended.